With luxury sales stagnating in both the United States and Europe, Asia is quickly becoming the world’s luxury epicentre, predicts strategic marketing consultancy, Added Value. In fact, according to a recent newsletter from the consultancy with a reputation for consistently delivering strategies that result in exponential growth for its clients, within the next 10 years, it is predicted that Asia will account for over 50% of all luxury sales worldwide. And although China and India will lead the way, countries like Indonesia, Malaysia and Thailand will not be far behind. 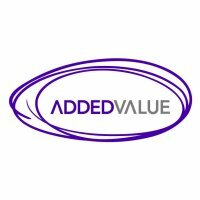 Let’s take a closer look at how Added Value summarises some key issues. Demographically, luxury consumers differ in Asia. The average Chinese luxury consumer is projected to be 15 years younger than her US counterpart. These younger consumers value product quality the most when it comes to luxury purchases, and seek out products that are unique and help further a sense of individualism. Although India currently has a relatively small share of the global luxury market, it is set to grow enormously. Economic stability, allied to more educated consumers, is driving interest in international brands; and Fendi, Burberry, Paul Smith, TAG Heuer and Armani are all taking space in the malls that are springing up throughout India, as upper middle class consumers, who might have been more hesitant to outwardly display wealth, are catching onto the luxury wave. Western luxury fashion brands such as Gucci and Prada are struggling to find a large market share in China. Younger Chinese consumers are not as receptive to the brands’ images: they find them too flashy, and belonging to an older generation. Much of the Asian luxury culture revolves around self-reward and fitting into social groups. Too much bling is undesirable, and goes against the collectivist nature of these cultures. In Southeast Asian countries, an emerging and tech-savvy middle class is slowly changing how luxury goods are sold. Internet entrepreneurship is allowing consumers with less spending power to obtain luxury goods at a much lower price. Either through renting, buying pre-owned, or taking advantage of online discounts, there are myriad ways that they are buying luxury in a more accessible way. It may seem that luxury and sustainability are two concepts that don’t mix: luxury is perceived to be the least sustainable sector, more than banking and petroleum. But sustainability can be a key differentiator for a luxury brand, infusing the product with timelessness and meaning. Hermès has created Shang Xia, enlisting local artisans in China to create a variety of crafted goods: a luxury brand story leveraging local roots and authenticity for a more socially-minded cohort. With a burgeoning young millionaire demographic, China is seeing huge growth in the premium auto market. China’s premium car market is projected to grow at 12% a year for the next seven years, at which point it will overtake both the Western European and U.S. markets. In 2000, only 24,000 of car sales in China were considered premium. In 2012, this number was over one million. Who’s gaining the most? The German brands Audi, BMW, and Mercedes-Benz. Luxury is appealing for a variety of reasons, but one of the top draws has always been the concept of rarity. Rarity marks you out from the crowd and answers the need to outwardly define and project self-identity. There are various ways luxury brands can emphasize rarity, including positioning the product as art and producing limited amounts of an item. For most luxury brands, brand imagery falls into the category of Power or Seduction. Added Value has broken these dominant categories into twelve Luxury Archetypes – check out the imagery study here. Which archetypes does your brand embody?